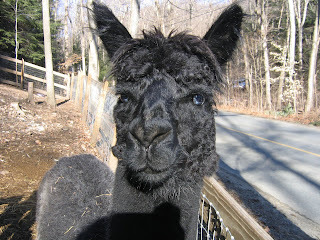 Angus is our watch Llama, rescued from starvation and a very neglectful place, he is the king here on the farm. With his baby blue eyes, he watches over the herd for any signs of trouble. He has gained weight here and is a sweet and gentle boy. Angus and Fergus, our other Minature Llama, that was also rescued with Angus, are happy here on the hill. The two of them get into trouble especially when we have our backs to them, they sneak for an extra bite to eat into the barn. They act as a tag team! A Cold Frame is born!